Giant sends warm blankets of cheer! Giant sends warm balnkets of cheer to the Nic Unit!! 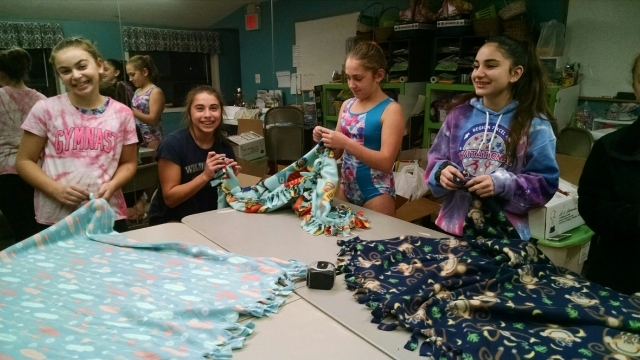 The team girls of Hackettstown are sharing the holiday spirit by making baby blankets which will be sent to St. Barnabas hospital in Livingston. They will arrive just in time for winter and the holiday season. The Giant Gymnastic girls enjoy working on community projects throughout the year!